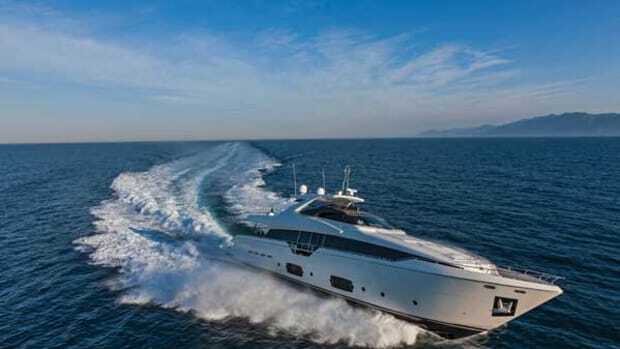 The launch of the first hull of the Custom Line 108’, the new planing maxi yacht of the Ferretti Group brand, has taken place in La Spezia, Italy. The recent technical launch operations at the Custom Line shipyard marked the end of the onshore production process resulting in the successful introduction of the first new maxi yacht hull to the water. 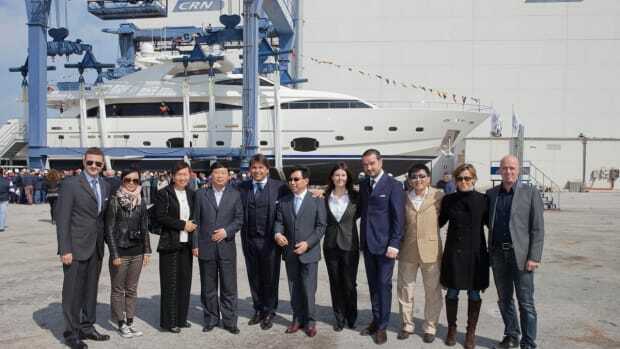 “The creation of the first Custom Line 108’ has spread great enthusiasm across the shipyard, which has worked very hard over the last few months to successfully get to the launch of this new maxi yacht,” underlined Ferretti Group’s Chief Commercial Officer, Stefano de Vivo. “We are looking forward to officially presenting the new yacht, together with the other Custom Line models and all other Ferretti Group new crafts, next September at the premiere devoted to our owners, in Monaco, then during the Cannes Yachting Festival." Fitting-out operations and the interior décor are set to be completed on the new Custom Line 108’ over the next day or so. 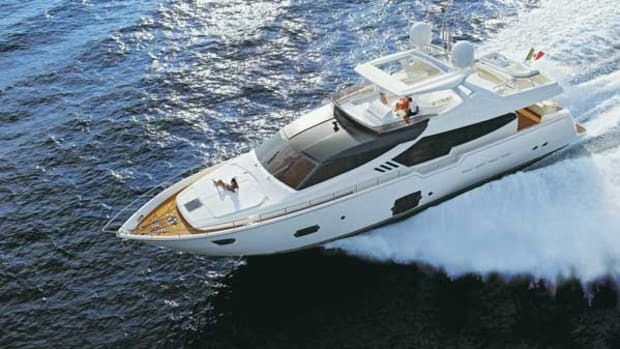 At the same time, the Group’s Engineering Department will be performing hull performance trials and checking all onboard equipment and systems, including the by-now well-known patented Dual Mode Transom, which controls the movement of the transom, and the innovative ‘VOTIS’ (Videoworks One Touch Infotainment System) infotainment software. 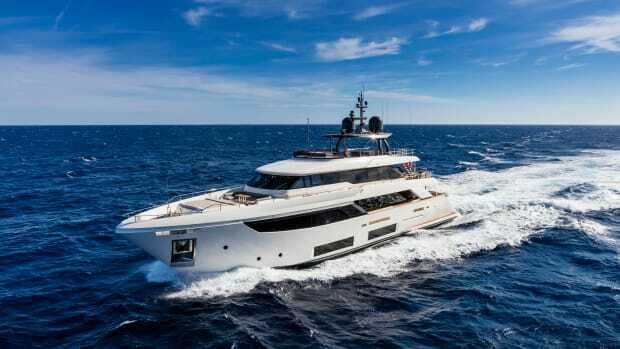 Once all these operations are completed, the yacht will be delivered to its owner, from continental Europe, during a dedicated official ceremony, and will then be ready to cruise across the Mediterranean Sea. The maxi yacht will then reach the Côte d&apos;Azur for the worldwide première that the Ferretti Group will organize for its customers in the Principality of Monaco just a few days before the international debut at the Cannes Yachting Festival, to be held from 8th to 13th September. 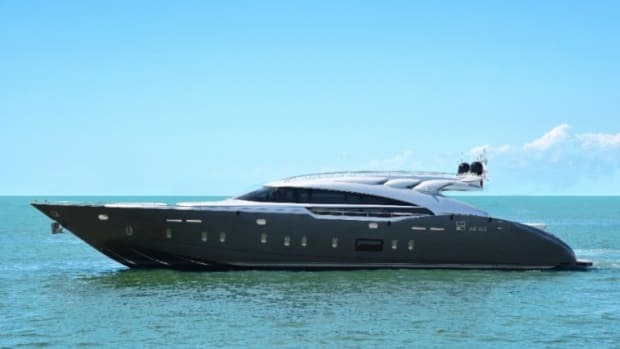 Characterized by stylish finishes and original contrasts, further highlighted by exclusive furniture and the greatest possible care for details, the Custom Line 108’ embodies a new concept of luxury, with a truly ‘noble’ touch. The architects and designers of Ferretti Group&apos;s Engineering Department have indeed developed specific solutions that make life on board this maxi yacht an unforgettable experience, through the use of soft leather, fine woods, and precious materials, like marble. The studies carried out on the all-LED lighting system, which becomes a structural and architectural design element, have resulted in increased comfort. 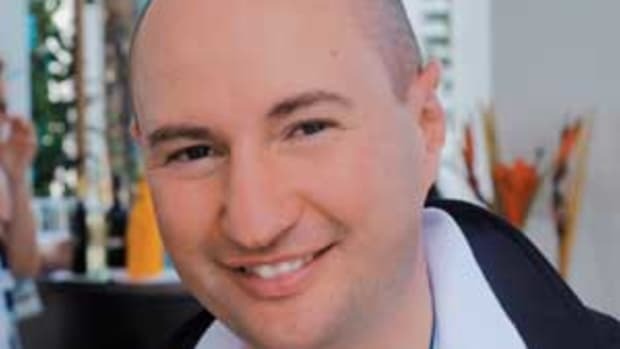 The owners can thus not only experience the charm of ‘creating’ the yacht of their dreams: beyond that, they will own a Made-in-Italy jewel that is truly unique thanks to the solutions implemented on board. 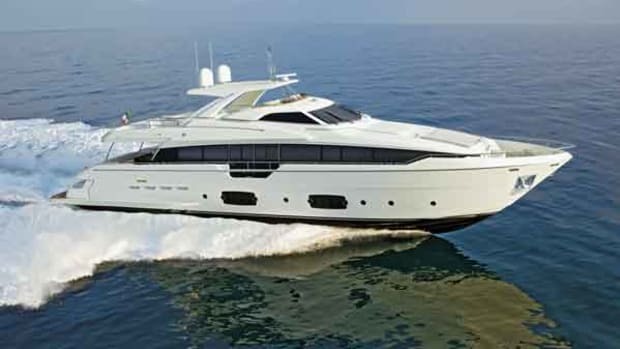 The Custom Line 108’ is also fitted with the patented Dual Mode Transom device and the innovative ‘VOTIS’ (Videoworks One Touch Infotainment System) software. The new maxi yacht comes with two MTU 16V 2000 M94, 2638-mhp engines, allowing it to reach a maximum speed of 26 knots and a cruising speed of 23 knots, and ensuring a range of 350 and 430 nautical miles, respectively. 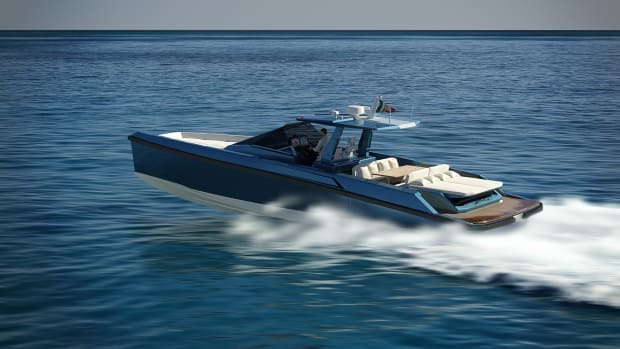 The yacht will also stand out for its fuel efficiency: its range at the economic cruising speed of 12 knots will indeed reach 1,000 nautical miles (preliminary data). 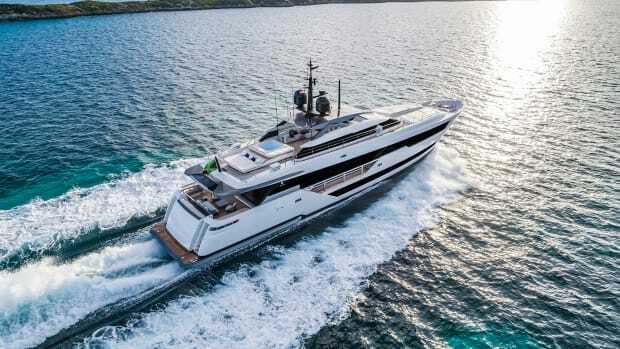 Last but not least, to ensure unmatched comfort even when at anchor, the Custom Line 108’ will be equipped with electro-hydraulic stabilizing fins with underway and zero speed functions. The construction of three more hulls of this model started over the last few months and is currently ongoing.